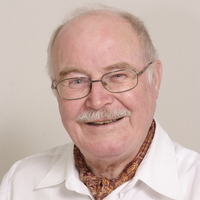 Dr. Albert Dijkstra and Inform connect. Inform connect is now well established. It serves a purpose and is published regularly. There is a newly published AOCS book on Fatty Acids, Chemistry, Synthesis and Applications. This will be reviewed in the next issue. Inform magazine also recently reviewed the debate surrounding coconut oil in the light of the AHA advisory report on saturated fat. Inform magazine, (2017), November, pp32-33. It’s always sad when a Lipid great passes away. Fred A. Kummerow, a scientist who fought the food industry and prevailing medical practices for decades until his early warnings about the dangers of trans fats were finally vindicated, died May 31 at his home in Urbana, Ill. He was 102. His death was announced by the University of Illinois, where he was a long-time professor. 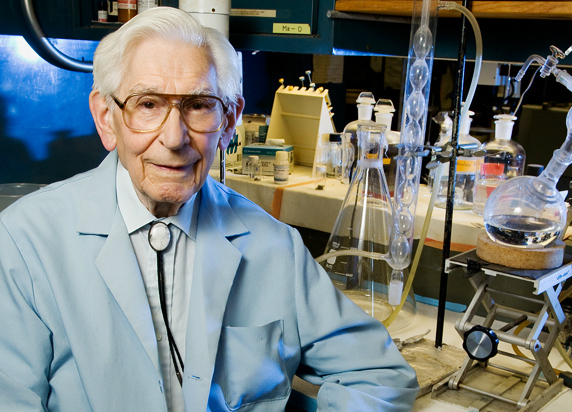 Dr. Kummerow, who maintained a research laboratory until he was 101, was a biochemist who specialized in the study of lipids. He also had an interest in the study of nutrition, dating to his days as a student, when he had to care for laboratory rats. In the 1950s, Dr. Kummerow began his long study of heart disease. His research focused on the accumulated fats in blood vessels. At the time, most doctors believed that saturated fat from animal products such as meats, butter and cheese were the principal culprits in producing harmful amounts of cholesterol, which could lead to heart disease. A lawsuit filed by the North American Olive Oil Association (NAOOA) against The Dr. Oz Show for false attacks against extra virgin olive oil (EVOO) sold in the U.S. was dismissed on March 3rd. The not-for-profit trade association, which represents marketers, packagers and importers of olive oil, contended in its lawsuit that Oz’s claim that “A shocking 80% of the extra virgin olive oil that you buy every day in your supermarket isn’t the real deal” is unsubstantiated. 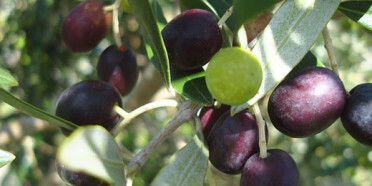 In addition, the television doctor pushed common myths about olive oil quality and purity during the episode. NAOOA plans to appeal the dismissal. There was mock shock and horror at the recent publication by NZ Consumer magazine showing that in a recent sensory test on commercial oils, Australian oil came out on top. Not by much but enough to keep the trans-Tasman rivalry going on yet another front. A word of caution as to the survey. These were all oils available at major retailers and I would think they were last seasons’ oils. There are Gold medal winning olive oils on several NZ websites which are value for money. We recently tried out a new spread with the Pam’s brand. The product is white, tastes of coconut and salt and is very soft. It contains 30% coconut oil and has a saturated fat content of 30%. It will probably be a very niche product and not become a market leader. Unilever agreed to sell its margarine and spreads business to KKR & Co. for 6.83 billion euros ($8.1 billion), ridding the Anglo-Dutch consumer-goods giant of one of its worst-performing units as it focuses on faster-growing food and personal-care niches. The private equity firm’s purchase of the division, whose brands include Flora and I Can’t Believe It’s Not Butter! is the biggest leveraged buyout announced in Europe this year. Heart health versus brain cognition? A few weeks ago, a study linking canola oil to Alzheimer’s disease risk (in mice) raised an intriguing question: When it comes to healthy eating, do we have to choose between the head and the heart? In other words, is it possible that foods promoted as good for cardiovascular health, such as canola oil, are bad for the brain? Even though the media completely misinterpreted the results and pilloried canola oil unfairly, the study raised an interesting point. There’s surprisingly little information out there on what to eat for brain health. Heart disease is the leading cause of death in the United States. But disorders of the brain may cause more suffering, and the numbers are growing. More than 6 million Americans currently live with Alzheimer’s disease, and by 2060, that will rise to 15 million. One scientist who has published many articles on the brain, is Joseph Hibbeln, a biochemist and psychiatrist working at the National Institutes of Health. His research has focused on a potential positive influence of omega-3 fatty acids, which are found in seafood and some plants. He has led studies that suggested a connection between low intake of omega-3s and a host of ills, such as suicide, violenceand obesity. The problem with omega-6 fatty acids, Hibbeln says, is that the more you eat, the lower the level of omega-3 fats in your bloodstream given the same omega-3 intake. This happens because both kinds of fat compete for an enzyme that converts them to a form the body can use. So, if you care about eating to keep your brain healthy, evidence would suggest keeping your omega-3 levels high, and that would mean not foiling your effort by ingesting omega-6 fats. The ratio of omega-6 fats to omega-3s has changed drastically over the last 75 years, as omega-6 fats went from about 1 percent to 10 percent of the human diet, and blood levels of omega-3 have plummeted. Hibbeln informs us that the brain makes up 2 percent of the body by weight and uses up 25 percent of the energy we consume. Focusing more research on how to feed it seems like a no-brainer. The above statement about the omega-6 to omega-3 ratio being too high is borne out by recent examination of omega-3 index figures showing that hardly anyone in the USA meets the minimum level of around 4-6 for cardiac protection. Omega-3 deficiency is a global issue, putting people at higher risk of chronic disease, and education is essential in eliciting positive change. To that end, Aker BioMarine is officially rolling out a new platform called The Omega-3 Index Project™ to help bring more awareness to omega-3 EPA/DHA deficiency, which affects most consumers worldwide. Created in collaboration with Dr. Harris, The Omega-3 Index Project provides tools that will help consumers and health practitioners alike, identify, correct and maintain healthy levels of omega-3s EPA/DHA. The cornerstone of the Project is the Omega-3 Index Test, which is a simple nutritional tool that measures the amount of EPA and DHA in red blood cells. DSM are also rolling out awareness of the omega-3 index. A recently released survey of the trans contents on imported oils show there is very little cause for concern with the relatively low levels detected.